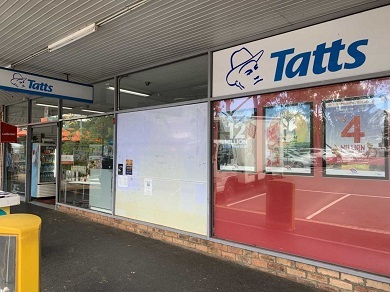 Premier are excited to list this popular, thriving Tatts Kiosk which is located in a seaside town on the Mornington Peninsula. With a good lease, strong commissions in excess of $195K, you can enjoy a straight forward business model with a healthy return. NOW is the time to get into this industry, as we are recently witnessing the sales growth along with the huge Jackpots and the fresh interest that is being generated. Finance available to approved Purchasers. Ideal entry level business into the industry. Situated on the ground entrance floor of a huge office block, in the heart of the CBD with the Tatts Corporate Image shopfit in place. Surrounded in big name stores drawing regular customers through the doors. Good, safe environment, nice customers, relaxed lifestyle. Urgent sale due to family and health issues. Monopoly position close to a huge stand alone Coles Supermarket. New Tatts shopfit installed. Excellent car parking available. A long secure lease - good rental. Operated by one person although with the growth here, part time help will be needed soon. This thriving Agency is a well established and a PROVEN business - Currently operating under full management. Beautifully presented with a long Lease of 16 years providing long term security of tenancy. Owner operators could save wages here and also increase sales even more by personal input. Beautifully positioned in a busy community Shopping Complex with Coles as the anchor store together with a variety of complementary businesses such as Australia Post and Cellarbrations, along with other thriving local operators including Chemist, fashion, homeware, beauty, bakery and busy cafe/restaurants. This Agency has been established now for over 11 years in this Centre. This Tatts Agency business provides excellent service for the local community as well as passing traffic from the main road. The population balloons during school holidays throughout the year, but in particular to the holiday makers over the summer months. With 160 car parks and 75sqm main road exposure, customers are drawn in to this convenient shopping experience. Great rent and a Fantastic lease - especially for a shopping centre. "Excellent Opportunity" for a family in this top performing Post Office and Lotto business. The shop is situated in sought after shopping strip that is well patronised by the local community with excellent parking. Brand new shop fit so there is nothing to spend. Commissions in excess of $400K per year. This is a 3 terminal Post that performs all normal services including Passports working with children and comprehensive range of ID Checks and EIS services etc. 500 boxes are installed and there is a long lease available. A very well presented shop with 2 Post and 1 Tatts terminal. Post Office commissions have grown steadily over the last 8 years and continue to do so. The area has a huge diversity of customers from a very strong commercial area (great for parcels) on one side and an ever growing residential area on the other. It is relatively close to a railway and tram lines and of recent years the governments of our day have been very sympathic to unit developments meaning the population is also increasing. The shop has been run by 2 people but I would suggest that 1 part timer a few hours a week would relieve a lot of pressure on the owners. If you are looking for a net profit of around $300K p.a. this is a very secure investment. This is a once in a lifetime opportunity to purchase a Top Ranked TATTS Agency in Melbourne's fastest growing North West Region. Est 1997. Never Before Sold! . Brand new long lease commencing Feb 2019. A BRAND new State of the Art Tatts Kiosk will be built and relocated 20 Metres in front of Woolworths (High Traffic Area) at the beginning of 2019!! In Addition a new Aldi Supermarket and Fresh Food/Food Precinct will be developed within the same area. Ensuring further growth to an already bustling, popular Shopping Centre. Perfect business for a Partnership or a Couple/Family.